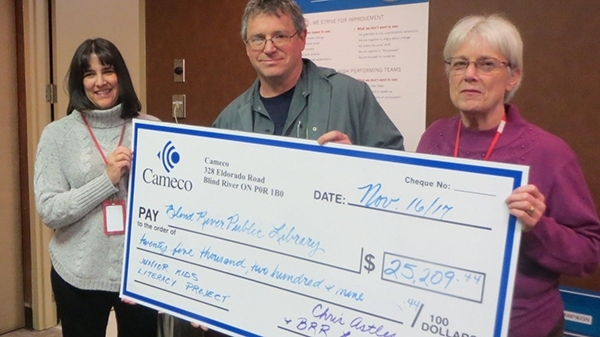 Each year, employees from Cameco’s Blind River Refinery support a different charity through their employee giving campaign. This year, they set out to raise $15,000 to outfit the Blind River Public Library with computers, software and “kid-size” workstations for the Junior Kids Literacy Project. The Cameco team, led by GM Chris Astles, far exceeded its goal with a total of $25,209.44. The additional funds will be used to purchase interactive white boards. Bravo and thank you for your spirit and generosity, Blind River!